For example, when a bankruptcy attorney files a bankruptcy petition, an estate is created from the assets of the debtor. Where the debtor has what is called non-exempt property, this property is sold to satisfy the outstanding claims or debts of creditors. Assets, such as these ERISA plans are protected from the reach of creditors completely regardless of how much they are worth. 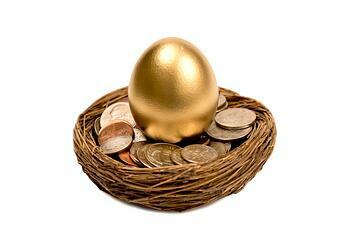 In 2005, the Court extended the protection afforded by the 1992 decision to Individual Retirement Accounts (IRAs). The court held that IRAs should receive the same shield of protection from creditors in bankruptcy case as pension plans, 401(k)s, Social Security and other benefits. Bankruptcy Attorneys in New Jersey can also use a statute which exempts IRAs, 401ks and other retirement type accounts from a debtor's estate. The Third Circuit Court of Appeals upheld the statute and found that these assets should not even be considered part of a bankrupt's estate. This statute, however, was limited to debtors that filed bankruptcy in New Jersey. The United States' Congress drastically changed the bankruptcy laws in October 2005 and enacted the Bankruptcy Abuse Prevention and Consumer Protection Act of 2005 (BAPCA). This new Bankruptcy Act curtailed the rights of individuals in many ways by limiting the ability of a person to file bankruptcy. However, one greatly needed aspect of the Act was to expressly exempt by statute from a debtor's estate assets in and payments from non-ERISA tax qualified plans, including traditional and Roth IRAs, 403(b) and 457 plans. If the debtor can prove that the fund from which they receive payment or may receive payment is tax exempt, then creditors or a trustee in a bankruptcy case cannot reach that plan or asset. This is a valuable law for the debtor in a bankruptcy. For example, suppose a person has $100,000 in a 401k and owes $60,000 in credit card debt that the debtor just cannot pay because of loss of a job. That debtor can file a bankruptcy and wipe out or discharge the credit card debt but keep its 401k for retirement. Every situation differs. Thus, before considering bankruptcy make sure you contact a bankruptcy attorney in your state. A Bankruptcy Attorney in our office would be glad to speak to you about your situation. Please do not hesitate to contact or email us.